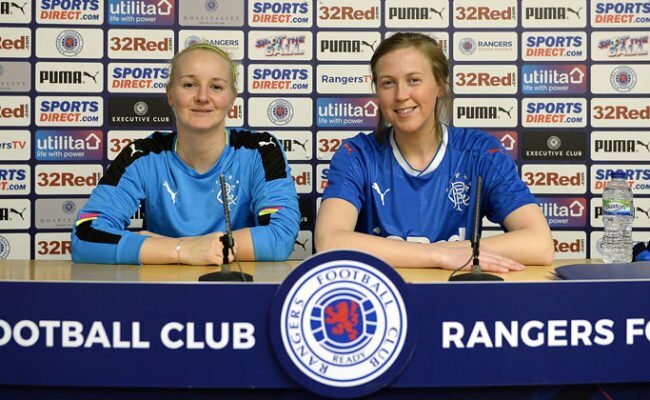 RANGERS cruised into the quarter finals of the SWPL League Cup with a crushing 0-4 defeat of Partick Thistle at Petershill Park. A blistering first half display saw the Light Blues put four past Thistle with goals from Holly Napier, a double from Carla Boyce and a Chelsie Watson header. Straight from kick off the Light Blues were on the front foot with Carla Boyce finding herself clean through on goal on to see her shot well saved by Nicolle Andrews in the Thistle goal. Then in the fifth minute Rangers took the lead. Amy Muir, in her new advanced role on the right wing, threw in a high cross to the box which was expertly met by Napier to head home from the edge of the six yard box. 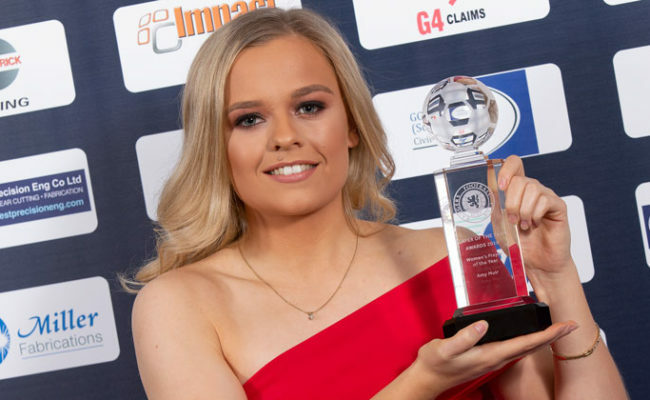 The Gers were close to adding a second in the eighth minute, when Caitlin O’Hara shot from 30 yards only to see her shot soar over the crossbar. From then on, it was all one way traffic from the away side, with Partick Thistle hardly setting foot in the Rangers half. The team got their reward on 18 minutes when a ball from Claire Gemmell fell kindly to Boyce and she slotted home from just inside the box. There was nearly a third in the 22nd minute when Boyce again found herself through on goal only to see the ball cleared off the line by the Thistle defence. On 24 minutes it was three. A short corner saw Ellis Dalgliesh send a cross to penalty spot that was met by a towering header from Rangers centre half Watson. 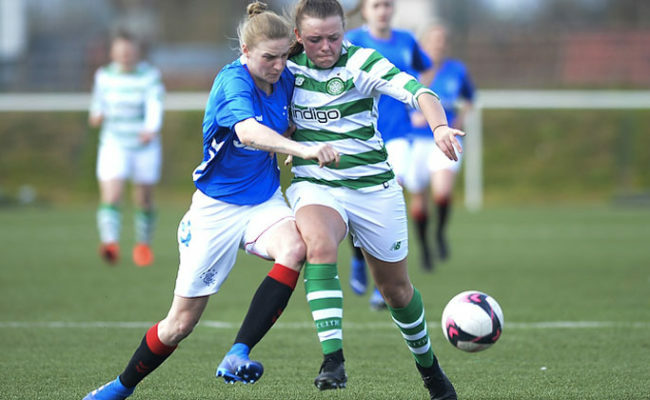 The 27th minute saw Partick finally foray into the Rangers half, with Rebecca Bisland having a shot that trickled wide of the left hand post not troubling Jade Baillie in the Light Blues goal. Boyce was at it again in the 29th minute, as she darted by three Partick Thistle defenders then squared the ball to Muir who shot low and hard but straight into the arms of Andrews. In the 40th minute Boyce who was giving the home side’s defence a torrid afternoon added her second of the match. Laura McCartney danced past two Thistle defenders on the right wing to send a cross over which Boyce met perfectly to flick past Andrews and all but book the Light Blues place in the quarter finals. A dominant first half display from Rangers, half time 4-0. The second half saw Gers manager Amy MacDonald make one change with Jade Gallon returning to the side replacing McCartney. Thistle started the brighter of the two sides and shortly after the restart substitute Sara Paterson floated a dangerous ball into the Rangers box but unfortunately their were no takers for the home side. Boyce had the chance of hat-trick on 57 minutes when another fine ball from Muir on the right wing fell to the striker just inside the box but she volleyed high over the crossbar. Muir was at it again in the 63rd minute she beat two Thistle players before releasing a 25 yard drive that was well saved by Andrews. Chantelle Brown replaced Napier in the 72nd minute and almost made an instant impact latching on to a deflected shot by Watson only to see her low drive well saved by Andrews in the Thistle goal. Muir went close again in the 76th minute when her shot was parried and then held by Andrews. 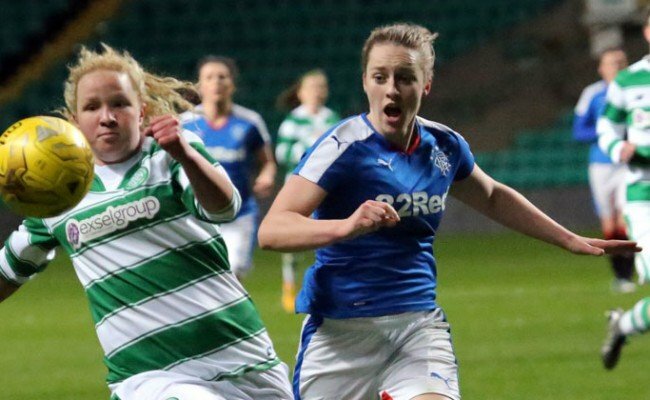 The first booking of the match came in the 79th minute when Partick forward Loren Christie scythed down O’Hara in the middle of the Thistle half which saw the Gers midfielder replaced by Hannah Thomson Coakley. Rangers were still in the hunt for goals and after a minor scuffle involving Brown the Light Blues were awarded a free kick in the 83rd minute which saw Watson shot high over the bar from 30 yards out. In the the 90th minute Pullar nearly put the icing on the cake for the Gers but again Andrews was alive to it in the Thistle goal. PARTICK THISTLE: Andrews, Addie, Murray (Boyce 72), Lawton, Bisland, McGlashan, Mactaggart (Lyle 67), McLeod (Christie 45), Hughes (Paterson 45), Gillan, Mallon. SUBS NOT USED: Richardson, Hawksworth, Hannah. SUBS NOT USED: Sinclair, Ramsay.